Did you know that your sense of smell has the longest “memory” than any of your other senses? The sense of smell is handled by the same part of the brain that handles memories and emotions which is why we can immediately recognize and respond to smells from childhood such as the smell of clean sheets, cookies baking in the oven, or maybe Grandma’s perfume. One of my favorite parts about the holidays is the scents. From the smell of pumpkin pie to pine trees, I begin making my house smell like the holidays long before the temperatures actually start to drop. When my Pink Zebra package arrived from Independent Pink Zebra Consultant Alcie Duke with holiday scents I immediately unpacked and got to warming… filling my house with the scents of Pumpkin Butter and Black Cherry… together. 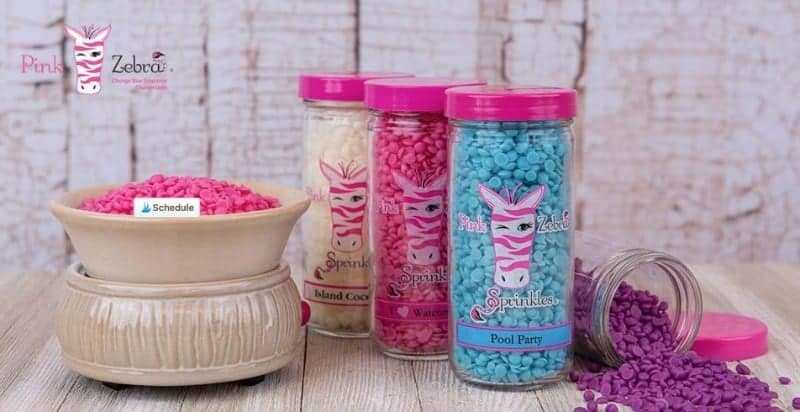 See, Pink Zebra scents are “sprinkles” – and you can mix and match your scents just by mixing and matching your sprinkles! These little sprinkles are no joke – they pack in a LOT of fragrance. 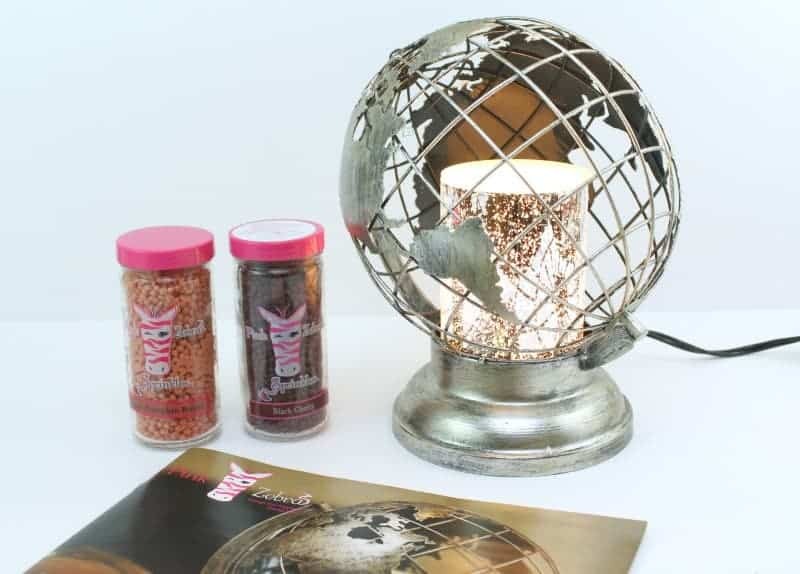 Along with Pink Zebra’s signature Sprinkles, Alcie sent in the World Globe Accent Shade w/ Simmering Light. Pictures will never do justice to just how beautiful this piece is, and it goes perfectly with my dining room decor! The Simmering Light makes a beautiful glow while warming the Sprinkles to just the right temperature for maximum scent throw. The World Globe Accent Shade fits perfectly over most all of their Simmering Lights so you can choose which one matches your decor best. Sprinkles and Simmer Pots aren’t the only thing Pink Zebra carries though – they also have an entire line of candles, reed diffusers, soaps, and lotions – all with their exquisite fragrances. Everything from Pink Zebra would make a great gift for anyone on your shopping list this holiday season. You can purchase directly from Alcie’s website or host a party to earn free and discounted products. If you want even more, consider joining her team to grow a business helping people fill their paces with amazing fragrances and beautiful decor! Check out Alcie’s website to learn all about how you can get involved with Pink Zebra.